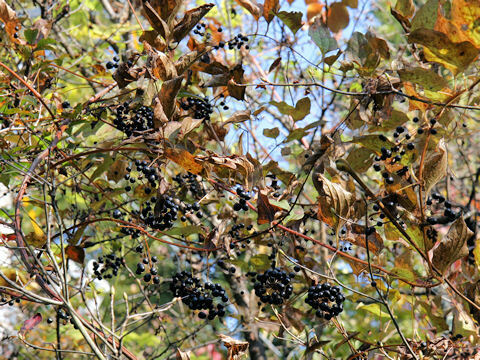 "Shiode" (Smilax riparia var. 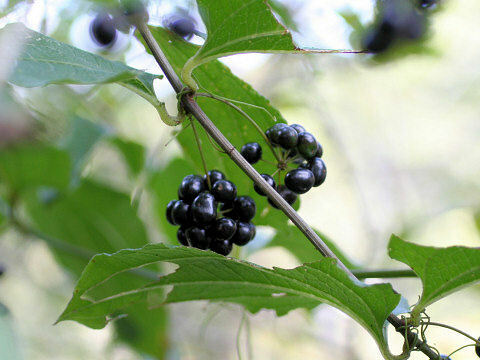 ussuriensis) belongs to the Smilacaceae (the Catbrier family). 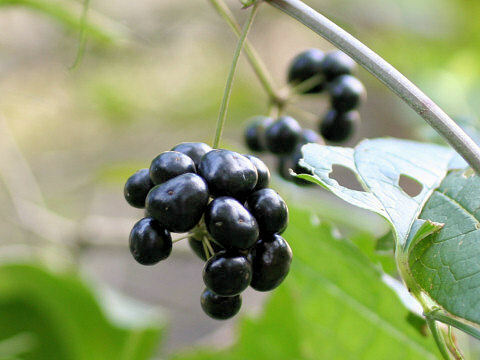 It is a deciduous woody vine that is native to Japan and the Korean Peninsula. 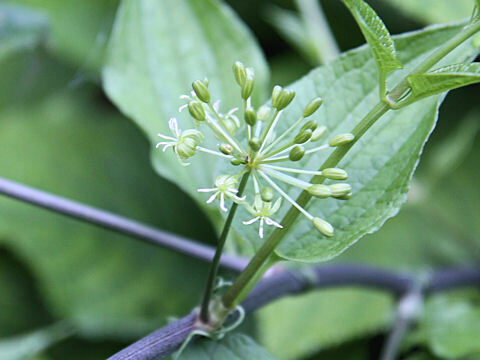 This vine grows in wettish floors of forests and grasslands, and climbs up adjacent supports by tendrils. It is much branched. The leaves are ovate with distinct 5 veins and irregularly-disposed alternate. It is dioecious. 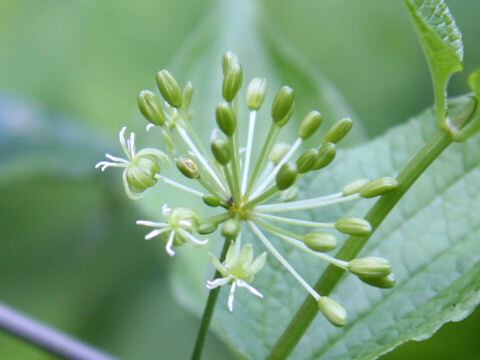 The umbels are borne on the axiles and produce pale yellowish-green flowers from July to August. 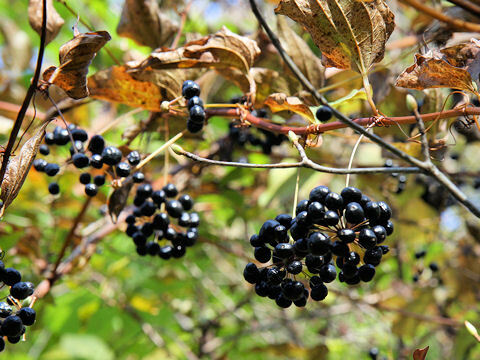 The fruits are berries and ripen black in fall. 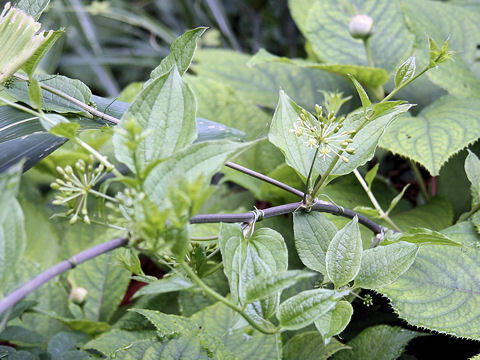 The young shoot is edible and has asparagus-like taste.